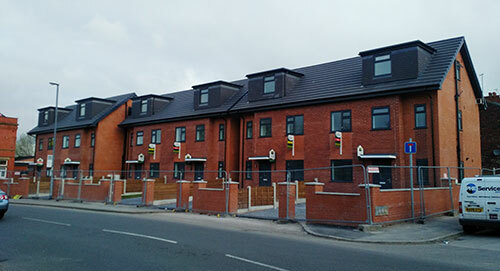 Conversion of a care home into six self-contained housing units. Initially quoted for internal wall partitions, however, it was very quickly discovered that the work is much more extensive and involved some demolition and roof re-structure. 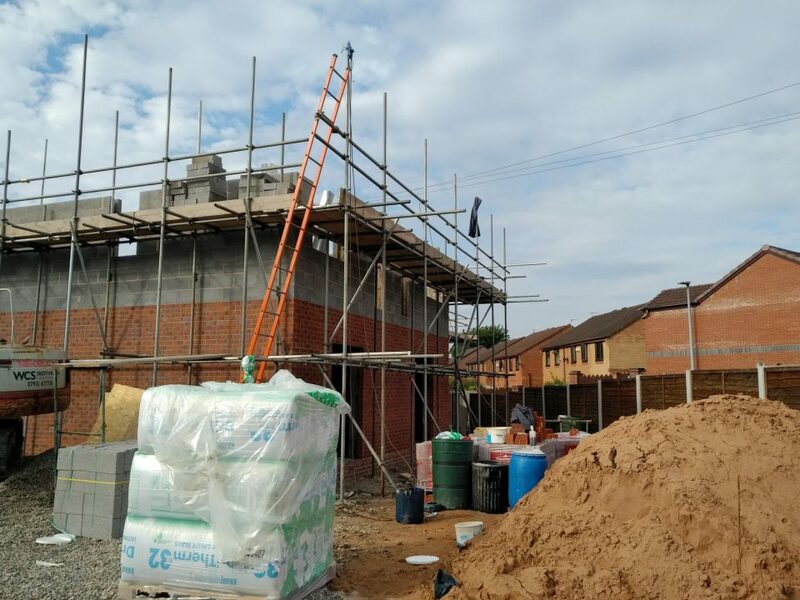 As the work progressed we have been asked to overlook and subsequently carry out the full work schedule required to complete this development. Once the demolition was going, we have prepared the unaffected parts of the building by removing all fixtures and fittings, stripping existing walls and ceilings, removing floors, old plumbing and electrical cabling. Our flow was disrupted when a digger hit a pipe under the ground. It turned out that this was live Gas main. We stopped the work as we felt the smell of gas and called emergency services. The leak was fixed very quickly and the work could restart within few hours. Following clearance we proceeded with the construction of the internal structures using the traditional way. Using wood we have created internal structures including ceilings, walls, floors and stairs. The work was slowed down due to the fact that ceilings and floor structures had to be completely done a fresh as the existing ones were much out of level. Some walls had to be rebuilt using block, to cover the openings between each unit. In places, the gaps between various spots were as much as 100mm. Complete wiring and plumbing needed to be fitted, before closing the walls using plaster board and skimming. 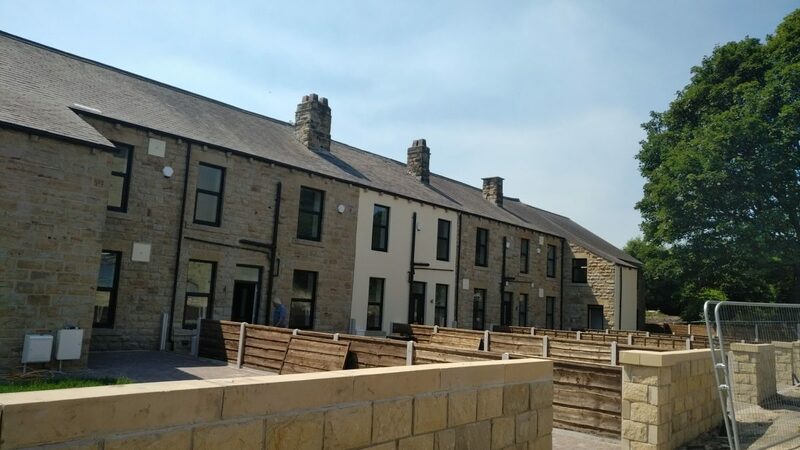 The outside of the houses, needed new media connections to each house. Style Builders organised relevant utilities to carry out this work. Style Builders has prepared all the drainage, and man hole system round the buildings in readiness for eventual landscaping. In the area where demolition was carried out we have build new walls and fixed the roof. 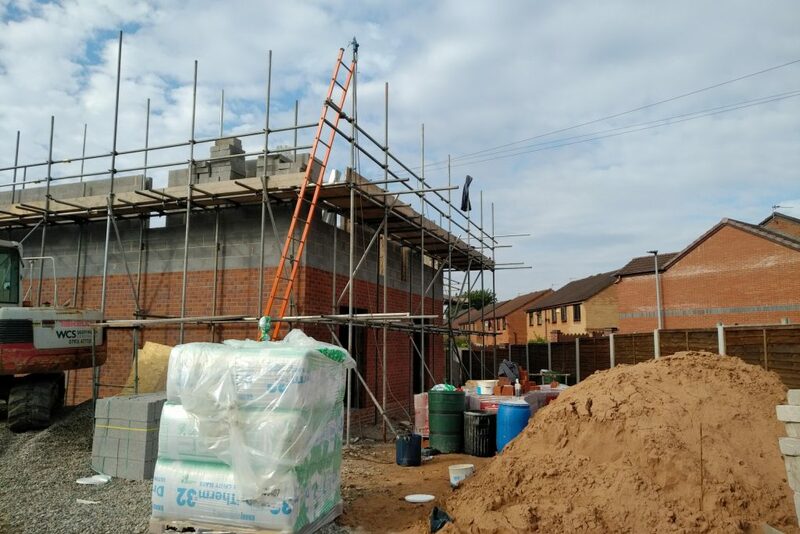 For this purpose, scaffolding was used as per Health & Safety Rules which Style Builders adhere to at all times. Currently, Style Builders is leading the full project which include all of the items originally assigned to third parties. This provides guarantee of quality and standard of work.